Within this set you get 4 Models Own Lux Nail polishes, these were released in September and each of these contains real 'diamond dust'- hmm I don't know about that, I wonder what the diamond dust truly is besides flecks of glitter? But it does give your normally one toned nail polish that bit of glisten which is good all year round and especially during the party season. Above you'll see Asscher Blue, Radiant Pink, Trillion Taupe & Carat Coral. There's a double ended cuticle pusher, so you can push back the cuticles to get more of a nail bed and allow your nails to get a cleaner nail polish look. You'll also notice the tape in the image, that Gold Nail Art Tape allows you to finish off your nails with a nail art effect. You can use it as a gold tip or be more experimental with your nails and use tape for other designs and finish it off with a top coat. I wish my nails were in a good state to try this out better besides the swatches above - sorry! 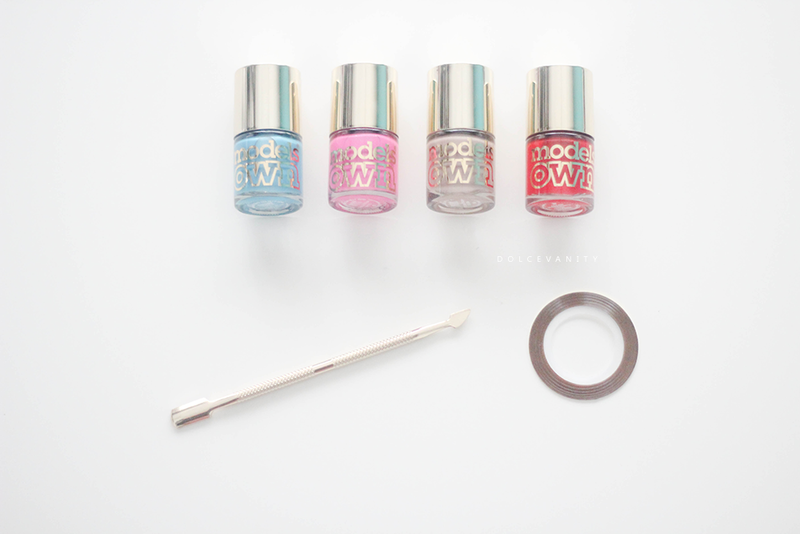 Each one of these polishes as described has diamond dust in and give a slight shimmer, I noticed it in the blue and pink and slightly in the red but it was harder to see in the taupe for me. There's some good swatches online especially at Fundamentally Flawless! 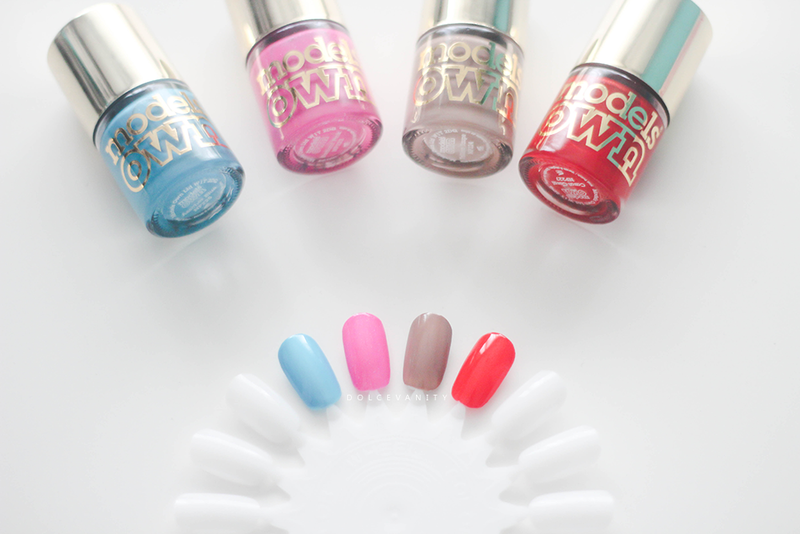 Do you love Models Own Nail Polishes?